A guest post by Jamie Ross and Husayn Smart. 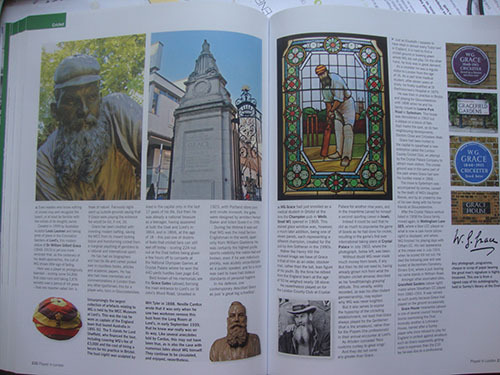 Sport has been at the centre of London’s cultural history for hundreds of years. London is the only city in the world to host the Olympics three times – but beyond the huge stadiums and global events, London’s streets and suburbs are marked by a rich and diverse history of sporting competition and character. London’s oldest surviving sporting structure is nearly 500 years old and totally hidden from public view. Commissioned by Henry VIII in the 1530s, Whitehall Palace was a wonder of the age, designed for decadence and pleasure. The northern wall of the Palace’s tennis court remains at the very heart of modern Westminster – within the Cabinet Office itself. It is believed that Anne Boleyn, Henry’s second wife, was watching (and betting on) a game there when she was arrested and charged with adultery. Henry could not bring himself to live at the Palace after her supposed betrayal – but it, and its custom-built sports complex, would become the proud home of his and Anne’s daughter, Elizabeth I. Not that the young Queen was much of a popular sports fan – in 1572, she tried to have ‘foteball’ players banned from the City of London ‘on pain of imprisonment’, following in the footsteps of her father, who banned the sport entirely in 1540. Much to the probable annoyance of the Tudors, football would arguably become the sport most synonymous with the city, and the appetite of Londoners for the beautiful game has not dwindled. However, the capital has lost many notable, now forgotten, football clubs – teams that fell into non-existence, whether by financial strain, obscurity, world events or a combination of pressures. The likes of Clapham Rovers FC, founded as early as 1869, won the FA Cup in 1880 yet didn’t survive beyond the First World War, whilst plucky minnows Walthamstow Avenue, who famously held both Arsenal and Manchester United to draws in the FA Cup during the 1950s, would last 88 years before merging into non-existence. Ever heard of the Islington Corinthians? They were never quite as illustrious as their north London footballing neighbours, but their unlikely story is a remarkable example of London’s global sporting story. Picked to play a friendly against the Chinese Olympic team at Highbury in 1936, the club embarked on a remarkable global tour across the 1937-38 season. They played an incredible 95 games across the world, from Egypt to Hawaii – even meeting David Niven on a Hollywood film set! 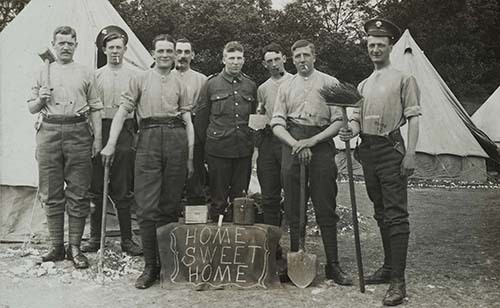 It would be war that again spelt the end of the adventure for the Corinthians – the club folded for good in 1940. Greyhound racing hit a peak of popularity during the 1920s and ‘30s, drawing crowds as large as any football match. There were a remarkable 27 tracks across the city, but today, just three tracks remain – at Wimbledon, Romford and Crayford. 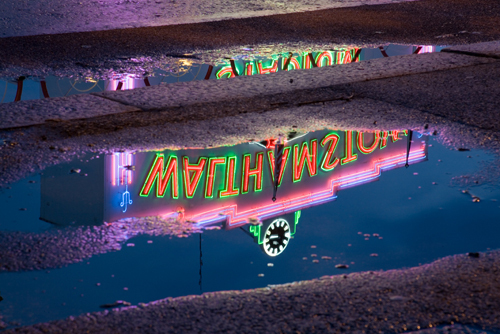 Despite closing in 2008, the vintage 1950s neon signage of the stadium at Walthamstow has been listed and will be kept – even as the stadium itself becomes a luxury housing development. Retaining this history can be difficult – but where intelligent investment is made, preservation can be combined with effective regeneration. The Ironmonger Row Public Baths in Islington were built in 1931, and hosted many Olympic divers during the 1940s and ‘50s. The building recently underwent a £17 million renovation – ensuring its valuable presence in the community for the next century. Supporting communities and cultures is one of the great things sport can do in cities like London. The capital is home to some of Europe’s finest and oldest skateparks. 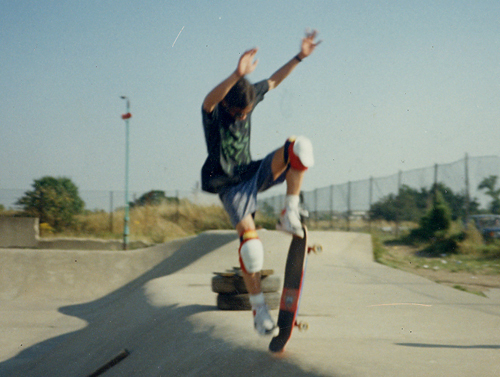 The Rom Skate Park in Hornchurch was built in 1978, and was the first skatepark in Europe to be given protected Listed status. Stockwell Skatepark, known as ‘Brixton Beach’, was also built at the end of the 1970s, on the first wave of skating mania – and remains a vibrant and challenging spot for skaters to test their skills. Today, this fantastic tradition continues – Better Extreme opened in 2015, becoming London’s largest indoor skatepark. It’s easy to feel distant from some of the elite sport that happens in London – so keeping in touch with the city’s heritage is all-important to celebrating London’s enduring position as a global capital of sport. 1 August 1715 was the first instance of Doggett’s Coat and Badge rowing race between newly-qualified watermen, up the Thames from London Bridge to Chelsea. Unlike today, there were no further bridges to pass under and the river was almost entirely unembanked, hence considerably wider than today. Once past Westminster, the vista would have been comparatively sparce of buildings on both banks. The boats are notably different too. The original participants raced in the craft of their craft: a wherry, the London cab of its day. Today, the racers are more fortunate, using modern Olympic class single skulls. This race has been competed almost every year since, making it the longest continuously-run sporting event in the world. 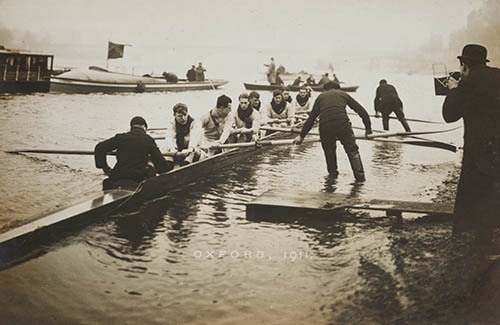 Yet compared with the much newer Boat Race (1829), it is hardly known. 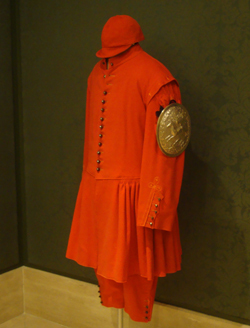 The prize for the winner is a handsome scarlet coat decorated with a solid silver sleeve badge. It comes with a dinky matching cap. The badge depicts a leaping horse and the word “Liberty”. The founder of this ancient competition was Irish-born Thomas Doggett (1640 – 1721), an actor and successful theatrical impresario. He was and ardent Whig and supporter of the new Hanoverian monarch, George I. He endowed the Doggett’s Coat and Badge race in celebration of the new Georgian dynasty, leaving provision in his will for its continuation in perpetuity. 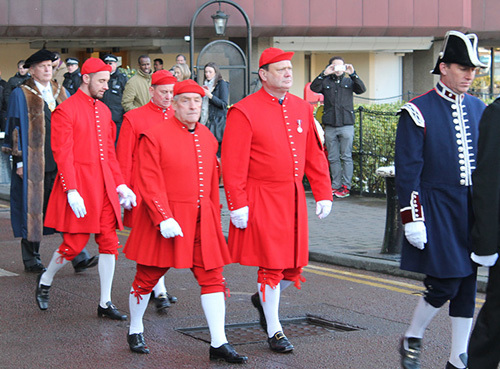 It was supposed to be administered by the Watermen’s Company – logical – but an executor of Doggett’s will, Mr Burt of the Admiralty Office, instead charged the task to the Fishmongers’ Company, who do the job to this day. The fund in 1722 was £350. Modern winners of the race in procession at St Katharine Dock, 2015. There is a dedicated web site to the race, here. It has lots of information including history, the course, the rules, a list of every winner, etc. The line-up this year are: Louis Pettipher, 24, from Gravesend, Charlie Maynard, 23, from Erith, Dominic Coughlin, 24, from Cuxton, Ben Folkard, 23, from Maidstone all of whom raced last year, plus first-timers Frankie Ruler, 21, from Blackheath, and Perry Flynn, 21, from Kennington. The race starts at 11:30 at London Bridge tomorrow, 1 August. Approximately half an hour later it will finish at Cadogan Pier, Chelsea, next to Albert Bridge. I am meeting some fellow London Historians on Albert Bridge at 11:30 to see the end of contest. We’ll then go to the Cross Keys pub nearby. Anyone is welcome to join us. 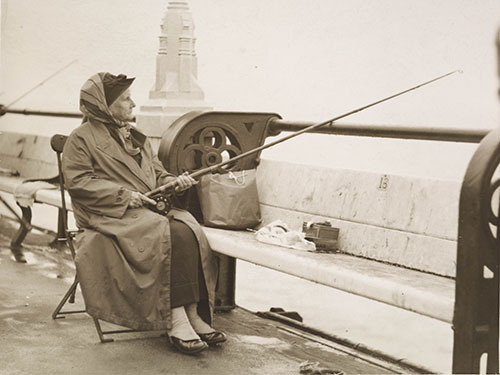 Review: Played in London: Charting the heritage of a city at play by Simon Inglis. 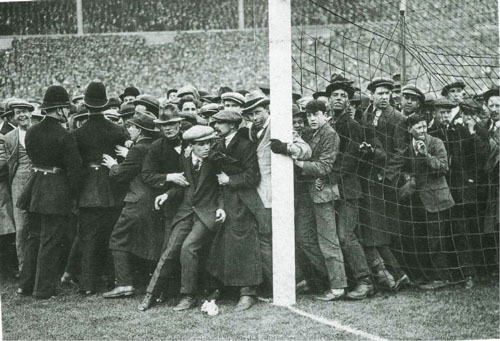 NOTE: Simon Inglis is speaking at London Historians’ event History in the Pub: Sport in London. 3 March 2015. Info and booking here. I’ve met the author of this book once or twice, the last occasion at an event just over a year ago. He told me about his book and why it was taking a bit of a while, essentially to do with the sheer amount of research required. And sure enough, the research that has gone into this book is staggering*. It is a massive topic, for sure, but with a copy in my hands, now I really understand. Played in London is the size and weight of a medium telephone directory (remember those? ), is beautifully laid out in four column format and illustrated with nearly 1000 photos, illustrations and maps. In short, it’s a quality object. The obvious place to start is with the sports themselves. There are fourteen chapters devoted to individual sports, with appropriate space allocated depending on popularity, so 34 pages for football down to around eight or ten for some of the others. And it’s those others which fascinate and tell us much about the public taste. The final two chapters cover greyhound racing (three tracks remaining today out of 30+) and speedway (including cycle speedway) – now disappeared. Both of these were massive in their time, that is to say mid-20C. The oldest sport, as one might expect, is probably archery. There is a wonderful 1594 map of the archery ranges in Finsbury fields – over 180 of them. Throughout, the author’s meticulous research throws up wonderful detail and trivia. If you wished to play every hole of golf in London, expect to walk 301 miles (or in my case, twice that). 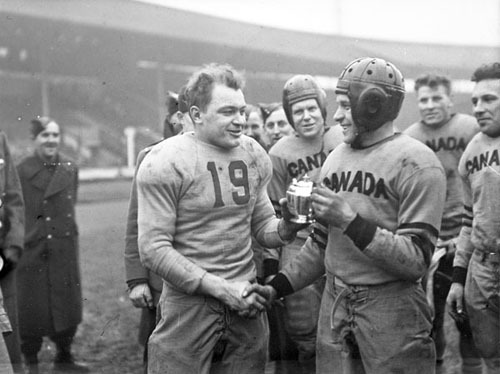 We are introduced to heroes of each sport, not just the players, but legendary managers, administrators and visionaries. 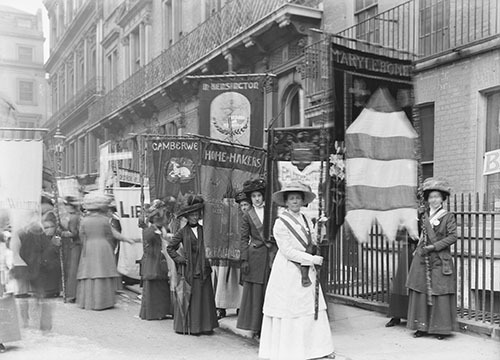 There are many pictures of their blue plaques. Most pleasing for the historian, I think, are the illustrations – so evocative. Old team photos, of course, but advertisements, old tickets, match programmes, maps, mementoes, paraphernalia plus an abundance of museum pieces which leave you wondering: how on earth did they manage to strike that with that? 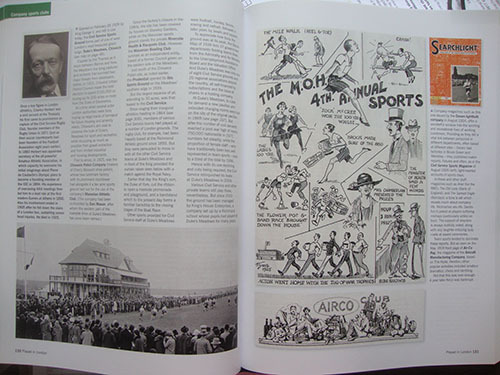 Spread from chapter on cricket. The book dedicates nine chapters to sporting organisations and buildings. So membership clubs, gymnasiums, swimming pools, billiard halls and most interesting for me, company sports and social clubs, which seem today to be from another age. Which of course they are. 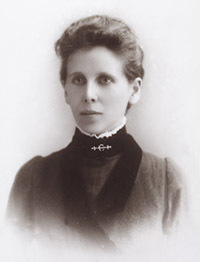 Unlike today, where organisations simply subsidise staff membership to some ghastly chain of gyms, in the late 19th and most of the 20th Centuries they were more likely to have their own in-house clubs with playing fields and facilities, or at the very least, shared ones: the civil service and various branches thereof, the Prudential, Debenhams, the Southern Suburban Gas Company, famously the Thames Iron Works which transmogrified into West Ham United. And many others. There is a map on page 132 showing 51 separate facilities in an area of South East London alone. Many of their clubhouses and pavilions were gorgeous. Finally, my favourite thing about the book and one senses the topic which is the author’s also: architecture. It’s something that either we take for granted or that those with little interest in sport hardly notice. I for one shall henceforth pay more attention. Stadia and their grandstands; clubhouses and their pavilions; purpose built snooker halls, indoor baths and lidos. There is a complete chapter dedicated to grandstands. Stay with me on this, it’s an eye-opener and deeply interesting. I always thought cantilevered grandstands were a modern thing. We have a photo of a pair of beautiful structures from Northolt Park Racecourse from 1929, now long swept away with the racecourse itself. I can’t help thinking that because sport is such a social thing that these buildings were designed with more love than most, and indeed many a pavilion was done free of charge by a sports-loving architect who happened to be a club member. This is a wonderful book. Yes, it relates the history of sport as it should. But it really succeeds in nailing the heritage in its title: it invokes nostalgia really powerfully. London sports fans will love this book, of that there is no doubt. Sports loving architects will adore it. And I would go so far to say that even historians without any interest in sports at all will enjoy Played in London. It’s that good. 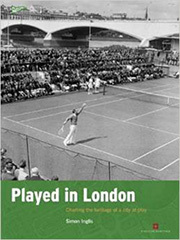 Played in London (360pp) by Simon Inglis is published on 28 August 2014 by English Heritage with a cover price of £25, but available for less.